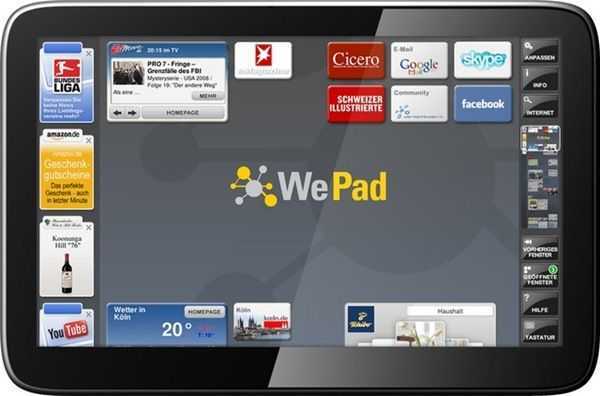 WePad and JooJoo Now Available for Pre-Order in Europe. If you’re in Europe, I’ve got good news for you. 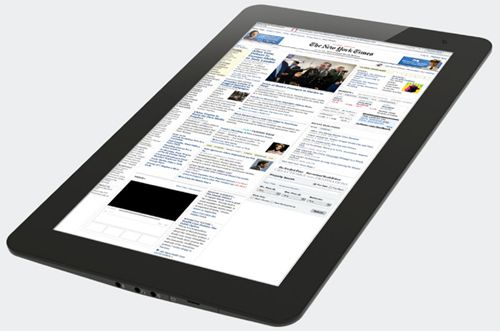 The JooJoo tablet [News, specifications] is now available to pre order. No, don’t laugh because there’s an interesting twist here. The price. Ignore the reviews for a minute and think about a 12 inch multitouch capacitive screen with BT, Wifi, SSD, Nvidia ion and the Atom1.6 CPU. Then add (I assume its possible) Ubuntu, Moblin, X86 Android or some other flavor of Linux and you’ve got yourself quite a nice experimental pad for just 359 Euros. If you like the though of developing or working with a home tablet, that’s not a bad price. With the right software it could make for a really nice home theater component. Even XP should run on it if you can squeeze it into the 4GB Flash. It’s no iPad and you’ll have to contend with short battery life but it could be more fun than an Archos 9 which costs more, for less. If you’re in Germany, there’s even more ‘pad’ news for you today because the WePad just went up for pre-order on Amazon.de [WePad info, specs] 449 Euros buys you the non 3G, 16Gb version and 569 adds another 16GB and the 3G module. There’s no direct word on shipping dates for either of the two devices but we had previously heard that the WePad won’t be shipping until June/July. The JooJoo is in production although this push for European orders could be to fund the next production run â€“ a somewhat risky thought. Is there something better round the corner? We think there might be. Despite good efforts by both companies concerned here we think that the current Intel Atom platform hasn’t got either the right hardware or software build yet. That might change with Moorestown and MeeGo but for the time being, we’re more interested in the ARM/Android platforms based on their ground-up personal, touch and power-efficient architecture. « WePad Live Demos Analysed. Ubuntu Spotted.